shirley-bee's stamping stuff: Seize The Birthday, with a Surprise Birthday Guest! 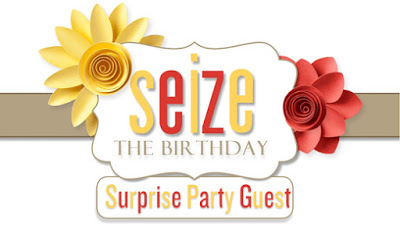 Seize The Birthday, with a Surprise Birthday Guest! Our topping for this challenge is Splatter. Be still, my beating heart! I love me some splatter, even when it's quite understated like today. 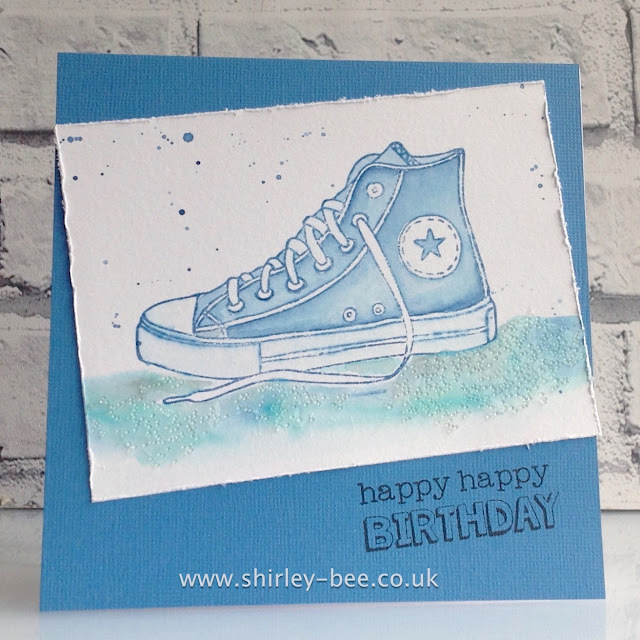 For my card, I stamped the baseball boot in Faded Denim, then with a paintbrush I pulled the colour in, deepening it where necessary. I laid down a wash with Faded Denim and Peacock Feathers, then covered it with glass bead gel, then mounted the panel onto textured card. Pop on over to the Seize The Birthday blog to see what Anita and the Design Team have created, and join in with your birthday project. If you're not into splatters, you can still join in, as long as it's a birthday project. 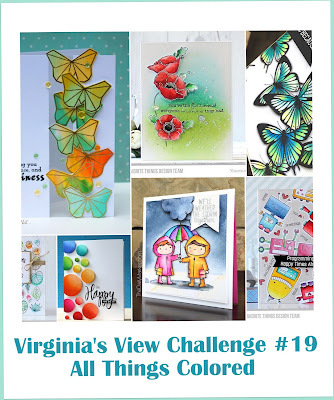 I'm entering my card into Virginia's View - All Things Coloured. Pretty colors and great masculine card. Super young man's card Shirley! The light splatter is perfect...I think I over did it on mine. I guess less is more.... so to speak. Thanks for the realization!